Are you a fashion addict or do you enjoy shopping? Did you experience a suitcase mishap at the airport? Whatever the reason for hitting the shops in Athens, here are some of the best menswear shops in the Greek capital. In the summer of 2011, French brand Kulte opened its shop in Athens, on Mitropoleos Street. In 2013, the brand underwent a change of direction and changed the name of its store to Round40. Today, the store also sells clothes from other labels, such as Wemoto, Vans, Monokel and Deus, among others. The street clothing store is a favorite among locals and is definitely a place in which gentlemen (and ladies) can spend hours browsing. Established in 2016, elevensouls is a multi-brand store where you can find clothing for men (and a limited selection for women) from labels such as African Apparel, Kulte, Mohxa, Veras, and Universal Works. From clothing to footwear and accessories, elevensouls has everything to refresh your wardrobe with essentials. This is streetwear at its best. Men and suits are definitely a winning combination. 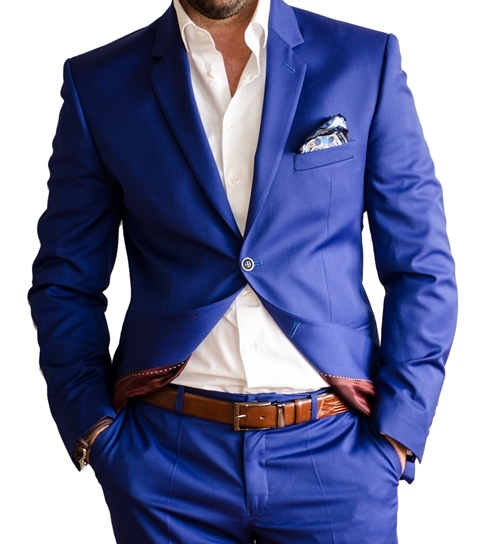 To up your game and look your best, Greek brand Sartor is the place to go to find a suit. With more than 30 years of experience, Sartor knows how to make men look great in suits that are stylish and comfortable. The family-run business specializes in made-to-measure suits, and also sells accessories. Perfect if you are attending a wedding in Greece and want to look sharp under the Greek sun. When in Greece, shop like the locals. Find comfy and affordable clothes at Funky Buddha, a Greek brand that has cheerful clothing for men, women and children. Reflecting the company’s motto of freedom of expression and dynamism, the clothes are bold and colorful, with a resolute attention to detail. Following the latest trends in fashion, Funky Buddha is definitely a name to remember. Designed for men not afraid to stand out from the masses, Garage55 is a Greek brand with contemporary clothing. They focus on men aware of their own style, and who use fashion as a means of expression. There is no flagship store yet but you can shop the brand in multi-brand stores such as Danaos, in Holargos. If you enjoy classic casual clothing, then head to Aéropostale, the Mall’s latest addition. Known around the world for its clothes for hip men and women, Aéropostale sells young, stylish clothes. Find clothes, underwear and shoes appropriate for a trip to the islands (or if the airline lost your suitcase). American Eagle Outfitters hardly needs an introduction. Located on Ermou shopping street, the store brings to Greece its well-known all-American style, with a wide collection of jeans, t-shirts, and shorts for men. American Eagle Outfitters, Ermou 22, Athens. Created by emerging Greek designer Chris Mitropoulos, 8 clothing is a clothing brand known for its uniqueness and playfulness. Soft fabric, unusual shapes, and smart lines are combined to create polymorphic clothing. If you like your clothes to do the talking for you, then 8 clothing is just right.